Find out how high-growth small and midsize businesses engage customers. 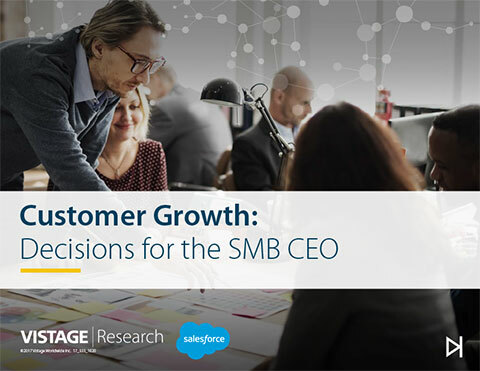 In partnership with Vistage research, we surveyed 1,352 SMB CEOs to find out what high-growth and no-growth companies were doing differently. Find out which strategies, initiatives, and investments high-growth companies are taking within marketing, sales, and service to drive customer growth. Read this ebook and see how these CEOs approach important decisions about customer engagement and growth.